WASHINGTON (CN) – Citing the Trump administration’s rollback of protections for transgender students, the Supreme Court put a return stamp Monday on a much-anticipated case. 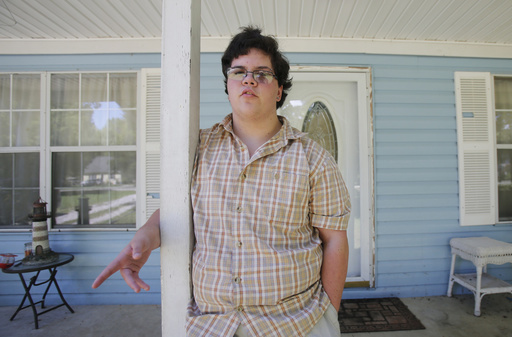 In just over three weeks, the justices had been set to hear oral arguments in the case where the Gloucester County School Board refused to let Gavin Grimm use the boys’ bathroom at school because he was born a girl. New York and 17 other states and the District of Columbia just submitted their amicus brief supporting Grimm on Friday, but the Supreme Court quietly took the case off its calendar on Monday morning. “The judgment is vacated, and the case is remanded to the United States Court of Appeals for the Fourth Circuit for further consideration in light of the guidance document issued by the Department of Education and Department of Justice on February 22, 2017,” the order states. Federal guidance has been at the crux of Grimm’s case for months. After a federal judge had initially denied Grimm an injunction, the Fourth Circuit reversed last year in the wake of a letter by the Department of Education under the outgoing Obama administration. The Obama administration guidance threatened to pull federal funding from public schools that did not honor students by the genders with which they identify. Though Trump had demonstrated a different stance on the campaign trail, his Justice Department rescinded the Obama-era order on Feb. 22, saying states and school districts should set their own policies. New York and the other states supporting Grimm had argued in their Friday brief that this kind of policymaking cannot be left to the states, as it will cause transgender people to face enormous burdens when traveling from a state that allows them to choose their bathroom to one that doesn’t. As to Gloucester’s claims that its policy forestalls a public-safety risk, the group also noted that no state with pro-transgender bathroom policies has seen such fears realized. West Virginia led a group of 18 attorneys general in a brief supporting Gloucester, saying the Obama administration’s interpretation of Title IX allows a federal agency to reach into an area over which Congress explicitly granted authority to the states.